It’s not surprising to see more and more companies launching their own portable wifi device for the Australian market given that demand is rising. 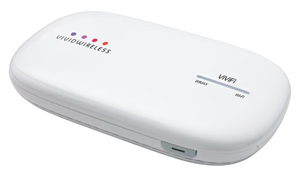 Vivid Wireless has recently brought to market their own portable wifi device known as the ViViFi Wi-Fi Hotspot. Let’s take a look at what Vivid Wireless have on offer. Like most other offerings, the ViViFi allows you to create your own personal wifi spot for either the home or while out and about in places such as the local coffee shop. The great thing about this device is that it’s a simple plug and play solution; it’s ease of use is something you will really appreciate time and time again. You’ll need to do an easy bit of configuration the first time you use it but after that, you simply turn it on and you’re good to go. There’s no software or drivers to install on your desktop, laptop or other devices like iPhones or iPads. Turn it on and devices such as these will connect to it’s secure wifi network. Connecting via a secure Internet connection is important in order to protect your personal information and so that you may browse the Internet securely. Using free wireless can be a risk unless you know the person or company who is providing the connection. ViViFi comes with a large selection of data plans and the have something to suit just about every type of Internet user. The cost of the portable wifi modem is $199 + $10 for delivery, bringing the cost to $209 inc delivery. The post paid plans are as follows below. ViViFi is also available to consumers on a pre-paid wireless Internet plan and the pricing is as follows. Coverage is currently limited to 3 capital cities; Sydney, Melbourne & Perth. Thankfully, ViViFi have an online coverage checker located here so you can check whether or not you are able to connect to their 4G Internet offering. While the ViViFi offering is an OK deal, I believe better value can be had with the Vodafone Pocket WiFi device due to better pricing and a larger coverage area across Australia.